People are living longer, so it is more important than ever to increase the quality while boosting the quantity of life. With a healthy and active lifestyle, you can experience good health well into your senior years. As we age we become more forgetful and it takes longer to remember details, dates and names. For some, memory loss that occurs regularly and impacts daily life can be a sign of Alzheimer’s disease. There is no known cause of Alzheimer’s disease, but many medical professionals believe that a combination of lifestyle, genetic and environmental factors. Limited alcohol consumption, healthy diet and physical exercise can also help to lower your risk. Bones and joints begin to weaken and deteriorate after years of supporting body weight. As we grow older we are more at risk for developing conditions such as osteoporosis and arthritis. Over time, bones weaken and cartilage surrounding the joints begins to wear away causing inflammation, pain and stiffness. Exercise, calcium and vitamin D can all be beneficial to bone health. Losing weight will not only lower your risk for Type 2 diabetes, high blood pressure, heart disease, sleep apnea, and certain cancers, but it can lessen the impact on bones and joints. After age 40, many people begin to notice changes in vision and hearing. It becomes more difficult to read small print without the aid of reading glasses. Annual eye exams can preserve the health of your eyes by providing early detection of cataracts, glaucoma, and retinal disorders. For those suffering with hearing loss, hearing aids can help to improve your quality of life. Heartburn, or reflux, is a common problem many face as they age. The digestive and metabolic systems also undergo other changes, increasing your risk for other medical conditions. 40 percent of adults between the ages of 40 and 74 have pre-diabetes. Pre-diabetes increases your risk for developing heart disease, type 2 diabetes, and stroke. Increasing your physical activity and losing weight can lower your risk of developing diabetes by 71 percent. The loss of bladder control is a common occurrence in aging adults. Studies have shown that in adults over 65, 1 in 10 experience bladder leakage. Women are most often affected by the condition. Bladder issues affect men in different ways. Prostate cancer is the second most common form of cancer among men in the United States. Limiting alcohol and caffeine can improve your bladder health. 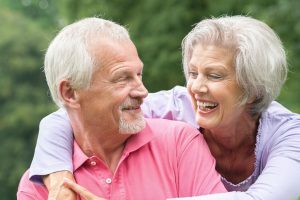 As we age, it is common to experience dental issues. Brushing and flossing your teeth twice a day, as well as annual visits to your dentist can prevent plaque buildup and gum disease. Skin cancer is the most common form of cancer in the nation. However, using sunscreen, wearing protective clothing and drinking plenty of water can preserve your skin and decrease your chances of developing melanoma later in life. Reduced vision, muscle strength, coordination and reflexes can all create issues with your balance. Removing trip hazards and maintaining a healthy weight can help to reduce your chances of a fall. Choices made in our early years can be beneficial later in life. To learn more about again and Regency Retirement Community, please call (731) 661-9888.